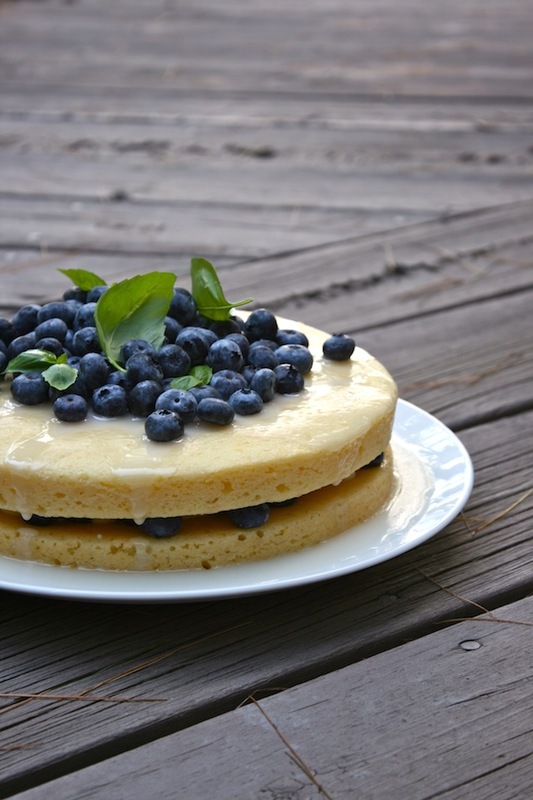 Summery Sweets: Lemon Yogurt Cake with Basil and Blueberries, Mhmm! / Hey, EEP! 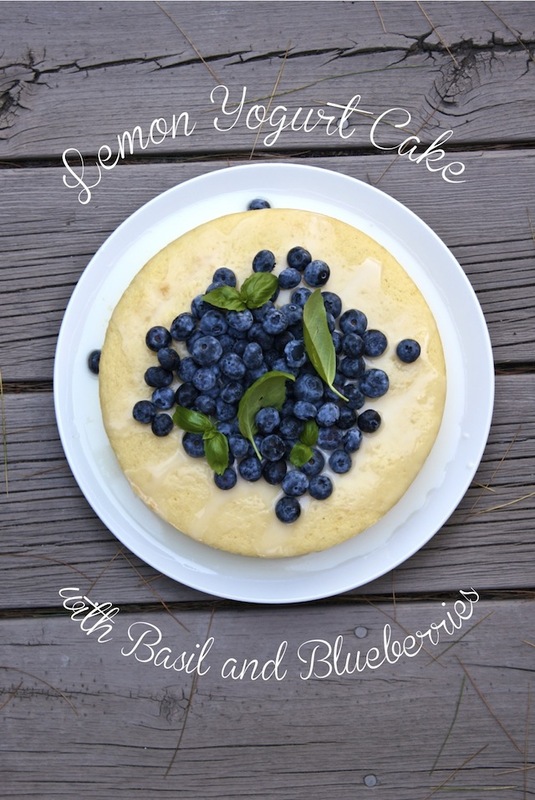 Summery Sweets: Lemon Yogurt Cake with Basil and Blueberries, Mhmm! I made an early birthday cake for boyfriend's mama when we were in Michigan this past weekend. She's a minimalist, so I set out to make a treat that was simple but elegant to compliment her spartan spirit. Luckily, the produce in Michigan is fantastic (especially the berries)! A little finesse is all it takes to nail a celebration-worthy dessert. The decision to make a lemon-yogurt cake was twofold: Boyfriend's parents can be very health conscious—I knew they'd enjoy the cake more if they thought it was virtuous—but, beyond that, I love how tangy Greek yogurt enhances the flavor of lemon (plus it gives cakes a super tender crumb). If you're short on time or energy, feel free to skip the filling and bake this cake in a loaf pan. Just serve with a little basil whipped cream (step 4) on the side. 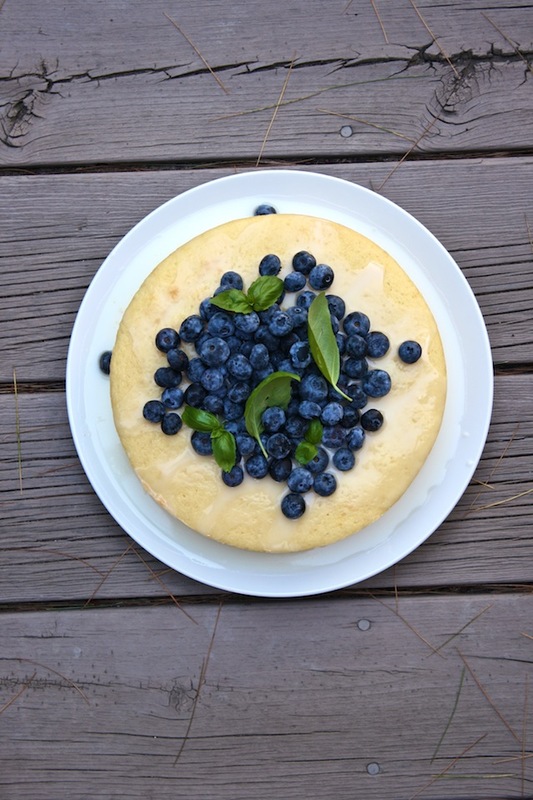 This dessert is perfect for a late-summer celebration while plump blueberries and fresh basil are still aplenty. I'm curious, though: What's your birthday cake personality? Are you a minimalist or do you prefer a big layer cake with frosting, sprinkles, and the works? I'd love to know? 1. Make the cake: Preheat the oven to 350˚. Butter and flour two 8-inch round cake pans; set aside. 2. Whisk the flour, baking powder and salt in a bowl. 3. Beat the butter and granulated sugar with a mixer on medium-high speed until light and fluffy. Add the eggs, one at a time, beating well after each addition (scrape down the bowl as needed). Add the flour mixture in 3 parts, alternating with the yogurt, beating well after each addition. Fold in the lemon zest and juice, vanilla extract and almond extract. Divide batter among the prepared cake pans and bake until a toothpick inserted into the center of each cake comes out clean, about 30 minutes. Transfer pans to wire racks to cool, 15 minutes, then turn out cakes and cool completely. 4. Meanwhile, make the filling: Bring the heavy cream, basil and granulated sugar to a simmer in a small saucepan over medium heat, stirring and crushing the basil with a wooden spoon (to help release its flavor). Strain the cream into a clean bowl and refrigerate until very cold, about 1 hour. Beat the cream with a mixer fitted with the whisk attachment until stiff peaks form. Fold whipped cream and ricotta together until combined. Stir in the blueberries. 5. To assemble the cake: Put 1 cake on a serving plate or cake stand. Spread the ricotta mixture on top of the cake, leaving a 1 inch border on all sides. Top with the remaining cake and press down gently. 6. Whisk the confectioners' sugar and lemon juice in a bowl until smooth and glossy. Pour over the cake. Garnish with the blueberries and basil leaves.